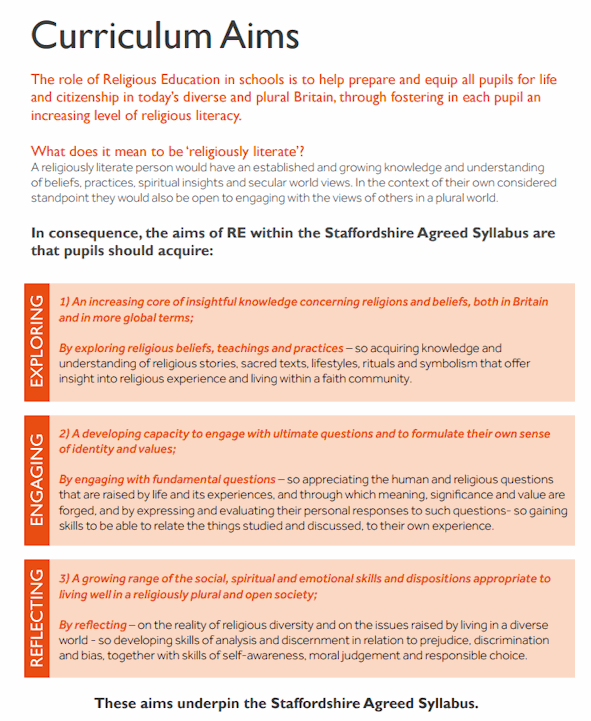 What are the aims of Religious Education at Perton Middle School? What do we teach in the Religious Education Department? In each key stage, we examine the key beliefs of these religions and explore how they all fit into our local community as well as worldwide. Pupils are encouraged to ask questions and develop their own opinions about religion in our world. In addition, they are encouraged to have knowledge of each faith and its place in our society today which, in turn develops personal skills of self-awareness, acceptance and moral judgement. Who teaches Religious Education and how is it resourced? Religious Education is co-ordinated by a specialist Religious Education teacher. Our school is fortunate to be well resourced with many religious artefacts, books, and a welcoming environment where pupils feel relaxed, safe and confident. A sense of mutual respect is embedded within all pupils which allows them to express their own thoughts and beliefs. Long Term Plans in Religious Education. What can we find in a church? Why is the Bible a best seller today? 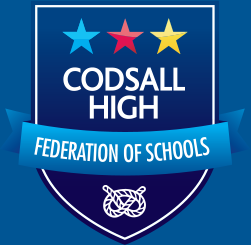 How is Religious Education enriched at Perton Middle School? Year 5 pupils visit the local parish church then compare it to Lichfield Cathedral. Year 6 pupils visit a Sikh Gurdwara. Year 7 pupils visit a Hindu temple. Year 8 pupils visit Coventry Cathedral and Beth Shalom. We learn from each other, we learn from humankind. Religious Education at Perton Middle School prepares students for British life by teaching tolerance, understanding and promoting harmony between different cultural traditions by enabling students to acquire an appreciation of and respect for their own and other cultures.